Hooper Corporation and its subsidiary, General Heating and Air Conditioning, have been integrally involved in many design-build developments found at the world headquarters of Epic Systems in Verona. One of the most recent projects is the soon-to-be completed “Jabberwocky” parking structure that is located on Epic Campus 5. Following the lead of general contractor J.H. 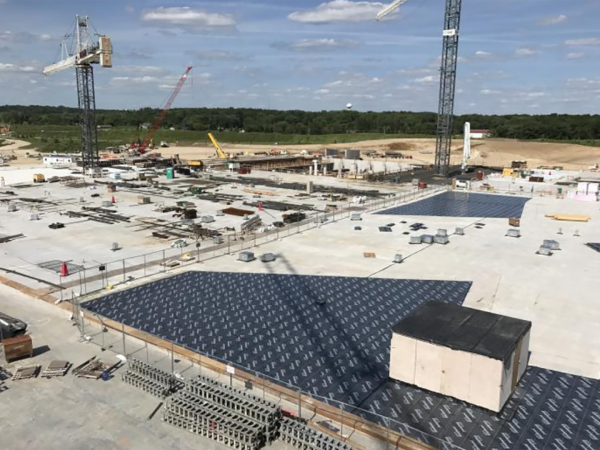 Findorff & Son Inc., crews from Hooper’s Fire Protection division installed innovative fire-protection applications to this massive new facility. 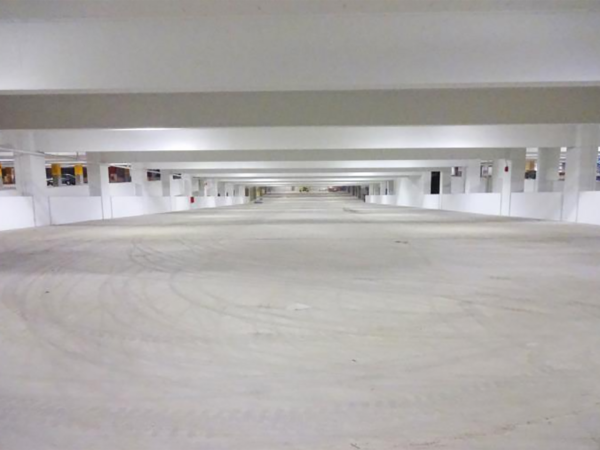 The structure is 1.2 million square feet and encompasses 3,095 parking stalls. The sheer size of the parking structure alone presented some challenges in terms of material handling and testing systems. Multiple office buildings sit on top of this structure making the top floor not typical from a design aspect. Hooper’s Fire Protection crews installed more than 50 dry pipe systems to protect the structure. Dry pipe sprinkler systems can be especially troublesome if not installed with proper pitch for winter pipe drainage. However, our BIM/CAD modelers’ design minimized troublesome drains and sprinkler fitters maximized pipe pitch when possible. Hooper was proud to partner with Findorff and others in the completion of such an exciting project. Our Fire Protection crews were excited to have an opportunity to work on a project of this scale on the well-known Epic Systems campus.